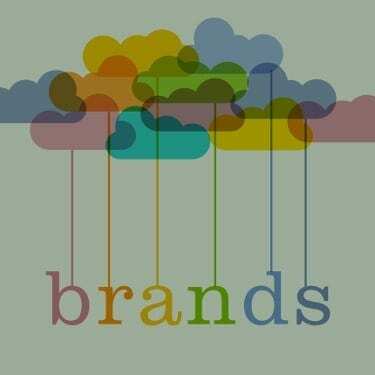 Does your brand image create meaning? Stop for a second and think about the brands around you. Go on, stop writing that email on Microsoft Outlook, grab yourself a Starbucks skinny mocha latte and swing your Jimmy Choos onto the table. Whether we get excited about buying brands or not we’re surrounded by them. But what do they mean to you? Anything? Nothing? Are you like the 93% of Europeans who couldn’t give two hoots if most brands disappeared overnight? Companies collectively spend billions of pounds trying to create relationships with customers (that’s us) and most of the time failing miserably. By stick or carrot they might get us to purchase a few items, maybe even persuade some form of loyalty with points systems or constant offers. But there’s on ongoing battle for our attention, one which brands are losing. So where are they going wrong? The biggest problem? Brands think like, well, brands. People don’t always come into the equation. Brands talk about ‘target markets’ and ‘identifying customer need’, using language that distances themselves from the very people they want to talk to. And on top of that society has changed – we live in a world where we expect transparency. We want to be listened to, nurtured and respected as individuals. We want honesty and brands are lagging behind. If brands create more meaning in their connections with us then they’d have a better chance of long-term loyalty (and moving their bottom line – check out what Havas* have to say on this). If you’re reading this and nodding your head then you’re in good company. 50% of European consumers believe brands have the ability to play a role in improving their quality of life and wellbeing. And if you’re the one wearing the marketing hat then it’s time to start thinking human. Just one small change. Chuck out the marketing speak and try using language we all understand. That’s an easy way to create connections and be more meaningful in my life.